Our gorgeous flower wall adorned with amazing flowers. Perfect o use a photo backdrop, ceremony altar, or behind the bridal table. 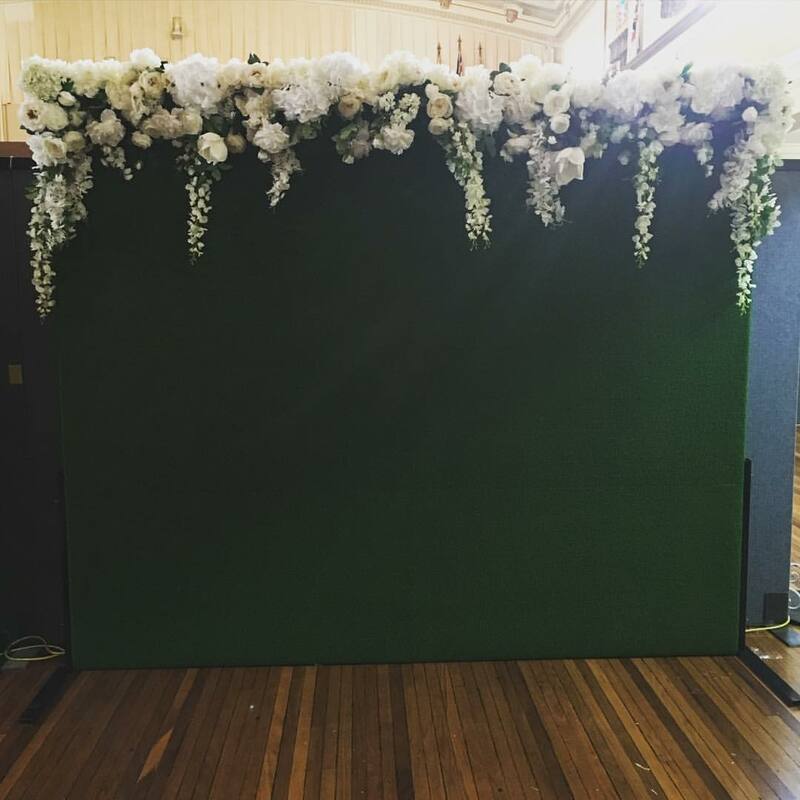 Perfect to use as a Photo Booth backdrop, Ceremony Altar, or behind the bridal table as a feature. Perfect to install behind your bridal table or as a feature wall in a blank space in your reception area. We have 12 square meters of this stuff and it is able to be installed in a number of ways. 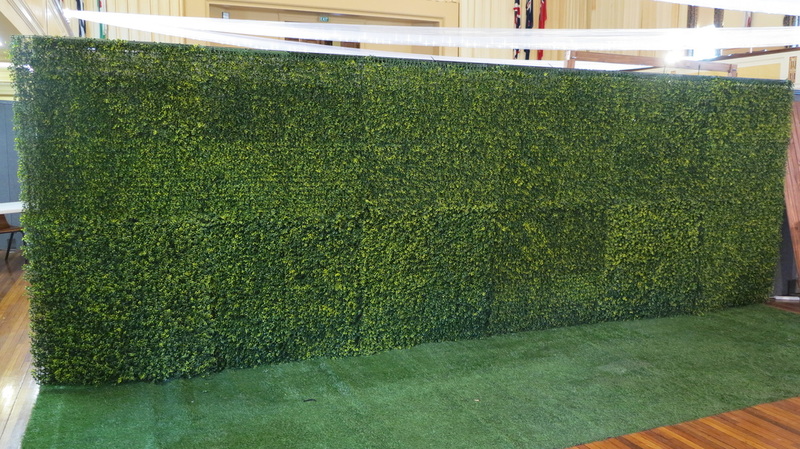 Shown is a 6mx2.5m backdrop configuration.